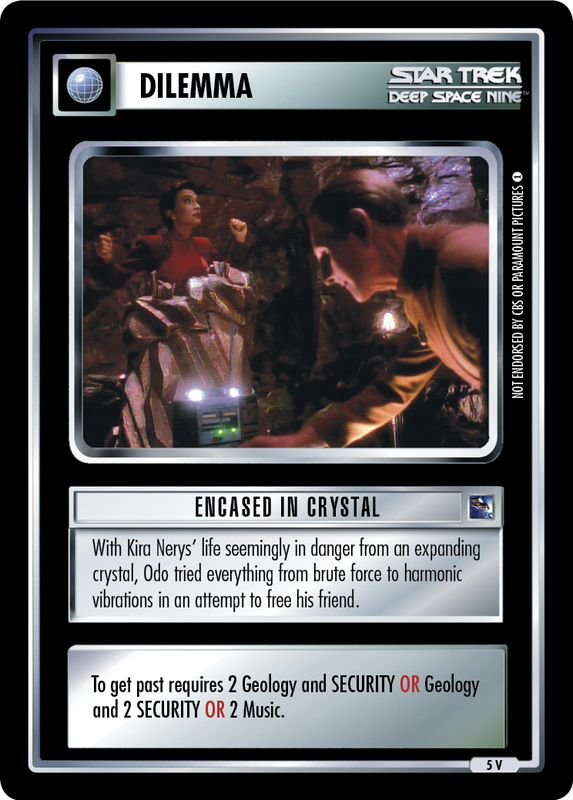 With Kira Nerys' life seemingly in danger from an expanding crystal, Odo tried everything from brute force to harmonic vibrations in an attempt to free his friend. 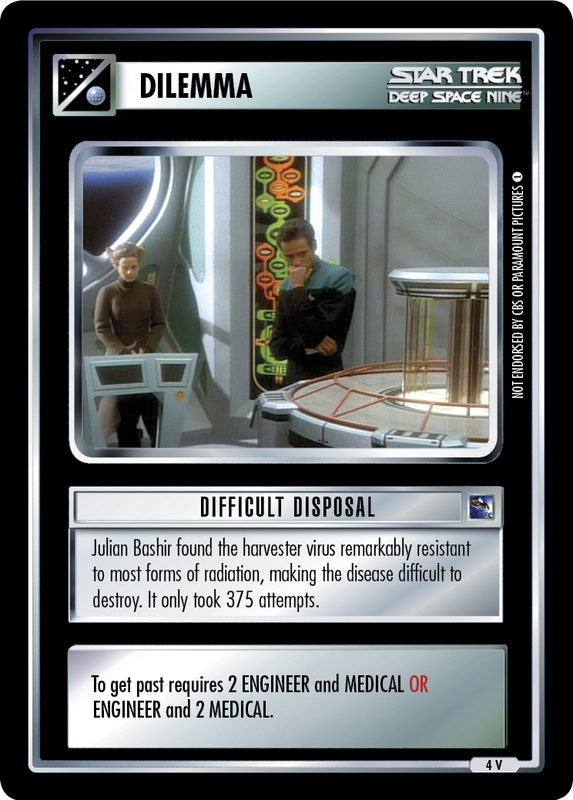 To get past requires 2 Geology and SECURITY OR Geology and 2 SECURITY OR 2 Music. 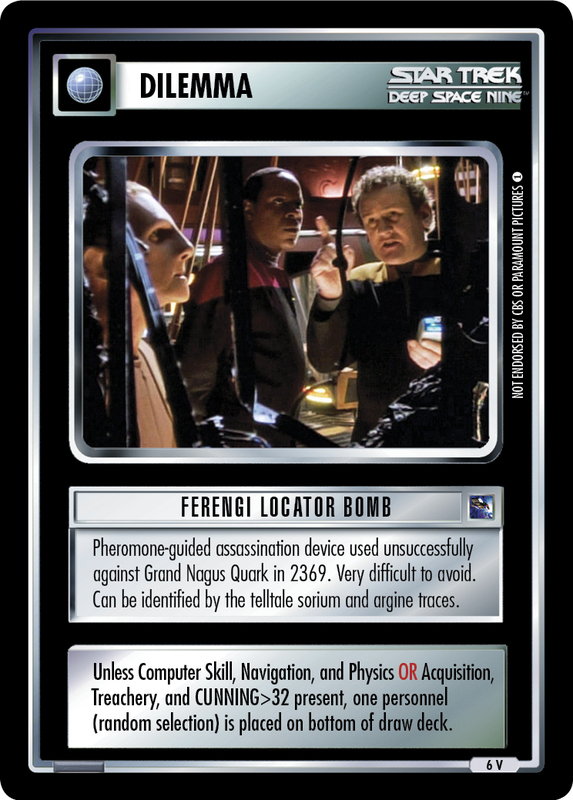 Image Source: Deep Space Nine: "Heart of Stone"